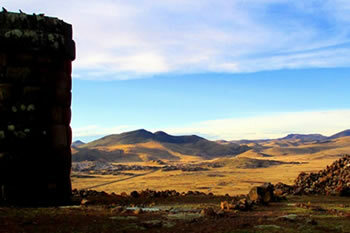 This pre-Inka necropolis is located in a little peninsular plateau in the Umayu Lagoon at a distance of 34 kilometers Northeast of Puno; the Pukara culture developed in this place around 1500 B.C. 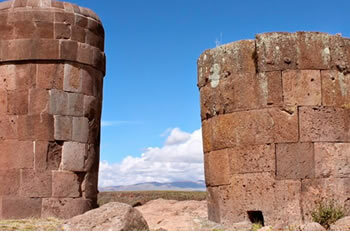 and then was influenced by Tiwanaku around 1200 A.D. The Qolla culture was then established – and, in this place one can observe various tombs and even the most sophisticated mausoleums of all types and sizes according to the rank they had within the Qolla society while it was alive there. Before being placed in the tomb, corpses were mummified in a fetal position, and in the tomb their belongings were placed alongside of them; in some cases, gold, silver objects, ceramic utensils, and food was placed as well. 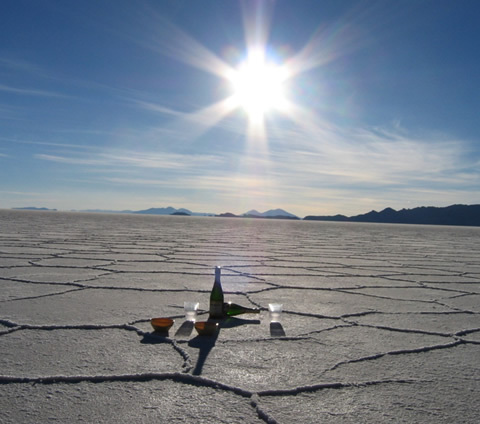 Along with the principal characteristics of these funeral structures, one will find an entrance – always directed towards the east – that served as a means of communication between the spirits of the deceased and the sun god. The entrance always is small so that they could introduce the funerary bale into the vault before closing. The vaulted mortuary chamber was formed with stones of small dimensions that weren’t carved; its exterior cladding with large blocks of carved stones perfectly embedded in each other and sealed from the outside without the need for mortar – as can be seen in the pictures. 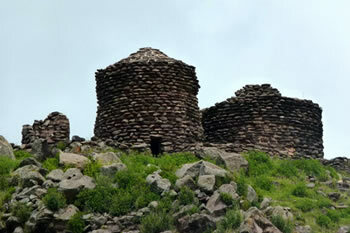 Likewise, the stone blocks are pointed and supported by smaller stones. Laterally, the stone blocks of the outer covering have grooves and protuberances to allow a certain flexibility of structure so that they can withhold against earthquakes. The upper part of the tombs have an outstanding row that forms the cornice that adorn the tombs; some stones have bas-relieves that represent mainly lizards and snakes. 14:00 PM – After breakfast, we will personally pick you up from your hotel in the city of Puno to take transportation to the necropolis of Sillustani (approximately a 45-minute trip); upon arrival, we will ascend to the top of the peninsula where the chullpas (called tombs in English) are located that we will be able to visit. Upon our return, we will take the original access to the place which consists of 78 stone steps; the same steps are too fatigued to climb upwards – we will try not to warry them very much due to walking very hard, but the walk shouldn’t be more than 30 minutes long. 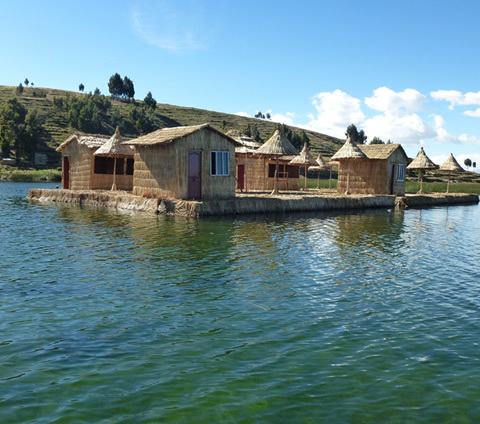 Apart from our visit to this place, our tour guides will show us some modules of native houses, establishing direct contact between you and the native population – the Camellos or the Waru Warus – as well as show us their Andean agricultural technology. Likewise, we will observe some llamas and alpacas. 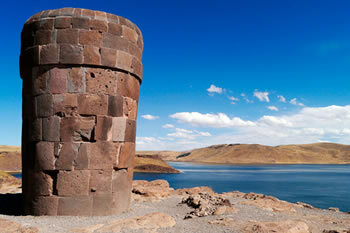 Included: Shared transport, tour guide, entrance fee to the archaeological complex.